Pendleton Woolen Mill Store: Quilted Cross Pillow Class -- This Saturday! Quilted Cross Pillow Class -- This Saturday! 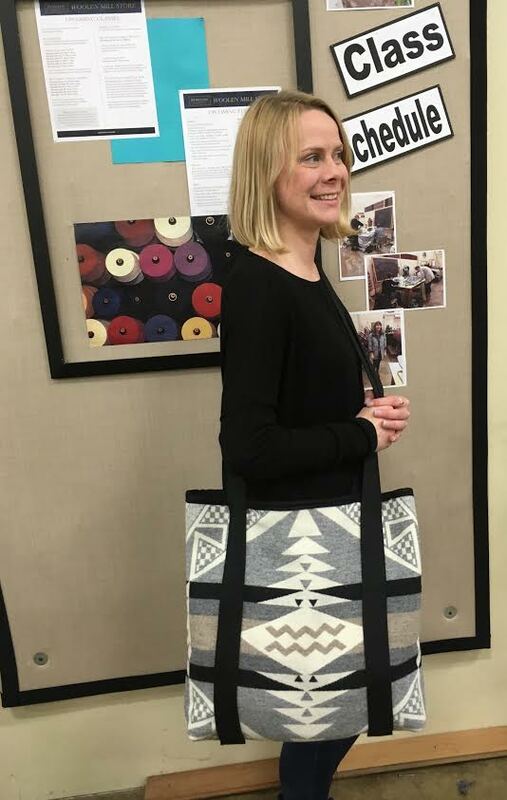 Please join the Woolen Mill Store in welcoming crafty rockstar Susan Beal to our teaching staff! For her very first class, we'll be making quilted cross pillows that are a perfect match to the Modern Cross Quilt featured in her Modern Log Cabin Quilting book. 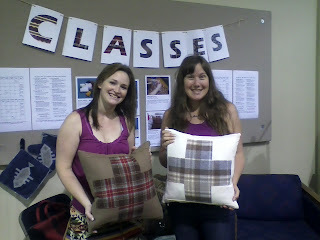 Cally and Susan show off the finished product! After class, we'll have a reception and book signing with Susan -- all are welcome to join us for crafty talk, light refreshments, and giveaways. Please register in advance by calling (503) 535-5786, as space is limited.